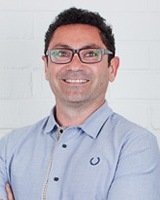 Dr Jason De Santolo (Garrwa and Barunggam) is a researcher, creative producer & father committed to forging a sustainable world for future generations through transformative research strategies, storytelling & practices of renewal. Born in Larrakia homelands - Darwin, he moved to Aoteaoroa/NZ at an early age, and studied treaty & international environmental law. His unique research practice integrates video, creative practice & renewal strategies. In 2014 he received a UTS Research Excellence Scholarship and graduated in 2018 with a creative doctorate that explores the renewal of song traditions through his passion for filmmaking & collective aspirations for self determination. Jason co-edited Decolonizing Research: Indigenous storywork as methodology with Jo-Ann Archibald and Jenny Lee-Morgan which will be available from April 2019 through Zed Books. His latest documentary Warburdar Bununu/Water Shield explores water contamination in Borroloola, NT and is set to be released by Browncabs in 2019. De Santolo, JJ & YPINAZAR, J 2008, 'Just push play: Where research meets video, online', The Australian Journal of Indigenous Education, vol. 37S, pp. 73-80. The term "research" means different things to different people. In terms of outcomes, it is often associated with purely academic formats - the journal article, the chapter, the lecture. However, things are rapidly changing, especially in the way knowledges are generated and shared. So, what happens when we grab some Indigenous legal and policy analysis and mix it up with Web 2.0 design/development expertise? What we get is an exciting pilot project that aims to enhance research dissemination through digital video and online interfaces. This paper shares insights into the collaborative process of creating a pilot research portal. Davey, L., Day, A., De Santolo, J.J., Howells, K., Nakata, N.M. & Wanganeen, R. 2006, 'Effective anger intervention for Indigenous prisoners: Research & development in a South Australian study', Aboriginal & Islander Health Worker Journal, vol. 30, no. 1, pp. 4-5. The Aboriginal & Islander Health Worker Journal is the only national publication written by Aboriginal and Torres Strait Islander Health Workers for Aboriginal and Torres Strait Islander Health Workers. The Journal is distributed nationally and internationally and has been in circulation since 1977. It is published six times a year and has broad range of readership. Each issue covers a range of topics including primary health care, community profiles, health promotion, best practice models and workforce issues. Necessary reading for health workers, service providers, program funders and anyone working in Aboriginal and Torres Strait Islander service provision. Longman, C.D., Behrendt, L. & De Santolo, J. 2014, 'Innocence Betrayed', Ronin Films, NITV. De Santolo, J.J., Parsons, I., Behrendt, L. & Cavadini, F. 2014, 'Protecting Manuwangku', National Indigenous TV. De Santolo, J.J. 2005, 'Our Rights - A Foundation for the Future', Jumbunna, Indigenous House of Learning, Broadway, NSW. Produced by the research team as a way of disseminating views, research & project outcomes. Presented & distributed at the meeting with the Board of Studies for Aboriginal Education. De Santolo, J.J. & Behrendt, L.Y., '5126', 5126 DVD, Jumbunna Indigenous House of Learning, National Indigenous Times. 5126' :a new media collaboration that reflects on the impact of the Australian 1967 Referendum - 40 years on. A report compiled between researchers at Jumbunna Indigenous House of Learning evaluating the Stronger Futures consultation process against Australia's obligations under international law to consult with Aboriginal and Torres Strait Islander Peoples in relation to decisions that affect them. The Report includes a 'Report Card' providing an overview of the efficacy of the consultation process.